List three fantasy worlds you’d like to visit, and why you’d want to go there. Oz is divided into four geographical areas, with the Emerald City at the center. 1. 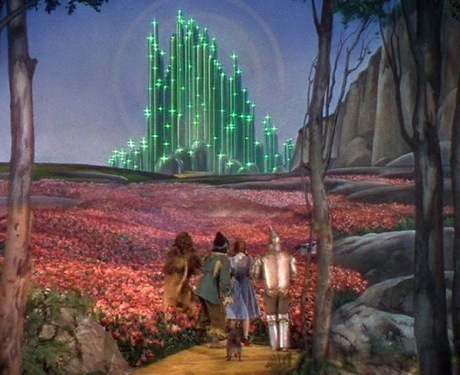 The Land of Oz. I have been inspired by the Oz series for children since I was a child. I can remember holding a pebble in my hand and whispering “przgtmczl – turn into a cupcake!” Then staring at the pebble in eager anticipation. It never did turn into a cupcake, but I was totally convinced it was because I hadn’t pronounced the magic word correctly. All I needed to do was say it the way it should be said, and the magic spell would work. This kind of fervent belief in fantasy and magic was actually a thrill for me, and the world L. Frank Baum created to display his stories in was Destination No. 1 for me in my imagination. 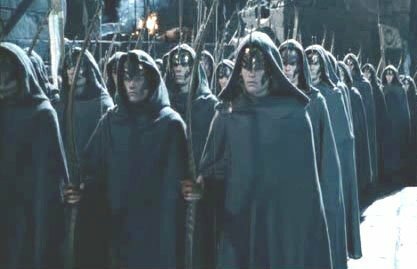 Lothlorien elves coming to the defence of Gondor at Helm’s Deep. 2. Middle Earth – the world created by J.R.R. Tolkien in The Hobbit and The Lord of the Rings. The adventures held in this wonderful and diversified world are larger than life, yet grab you and make you a part of the story with their rich detail and well-developed characters. Oh to talk to Gandalf about the mysteries of the world and about magical things. Travel with Bilbo, and then Frodo, exploring the world in all its infinite variations. Spend some time with Galadriel in the elven lands and visit the elves’ huge tree city. I would love every second! The last book of Landover in this series of five. 3. Landover, the magic kingdom bought by Ben Holiday out of a Christmas catalogue in Magic Kingdom for Sale – SOLD! 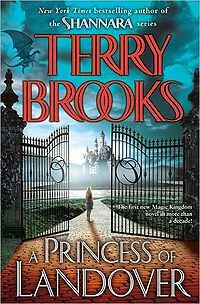 by Terry Brooks, also the author of the Shannara series. Although Landover is a magic kingdom in every sense of the word, complete with fairies, elves, kobolds, an incompetent Court Magician, and a talking dog who serves as Court Scribe, this is not a children’s fairy tale. The creatures who inhabit this land range from terrible witches to ghostly knights to river folk and kobolds who cook and kill with equal ease. I’d love to wander through this lovely land and talk to the people, also spending some time in Sterling Silver, a castle that is alive and lends all its energy to making the palace a warm and comforting place to be. This land is full of magic, mystery, humor and adventure. From my selections, I deduce that the kind of world I must create in my fantasy fiction writing must support magic, mystery, humor and adventure. Not a small task, but an exciting one. What three fantasy worlds would you like to visit…and why? This entry was posted in fantasy fiction and tagged Ben Holiday, elves, Emerald City, Fantasy, fantasy fiction worlds, J. R. R. Tolkien, l frank baum, Land of Oz, Landover, List of Oz books, Lothlorien, Magic Kingdom for Sale — SOLD!, Middle Earth, postaday2011, Terry Brooks. Bookmark the permalink. Good luck with the post a day! I really like your slant on this theme. I can’t agree more with number 2… perhaps after the events of the books though. Yeah, stickinsect, I agree with your take on #2 – wouldn’t it be fun to see more LotR stories, taking off from the end of the last book? The firt one is the world created in the “The NeverEnding Story”, i grow up whit this magic movie and I still llike it. Well, I have to work, we will read. It’s the Hobbit and Lord of the Rings. I read the books many years ago before they became popular and always enjoy reading them again. Never tire of them and they are getting a little dog-eared.